Can a Person Actually Melt? * Lots of psalms praising God. * Lots of psalms asking God for help. 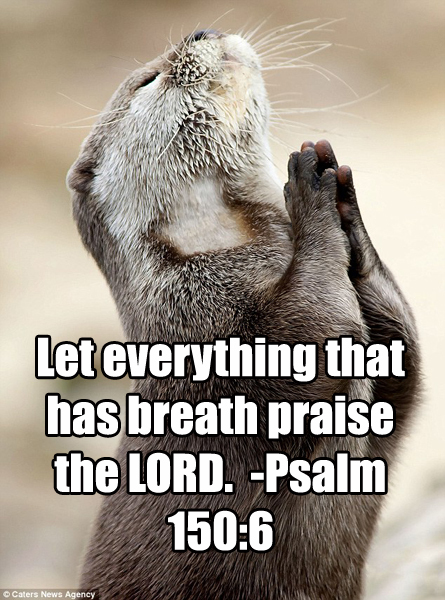 * Lots of psalms thanking God. * In short. Lots of psalms. As I’ve continued to read through the psalms of King David it seems each one falls into at least one of three categories. There are psalms of praise and thanksgiving. Psalms of David asking for help. And lastly, there are psalms of…what I’ll call…crazy bloodlust. Melt them like wax in a fire? David, I thought you were a man of compassion. Let burning coals fall down on their heads? David, that sounds like medieval torture bro. Let them be thrown into the fire? 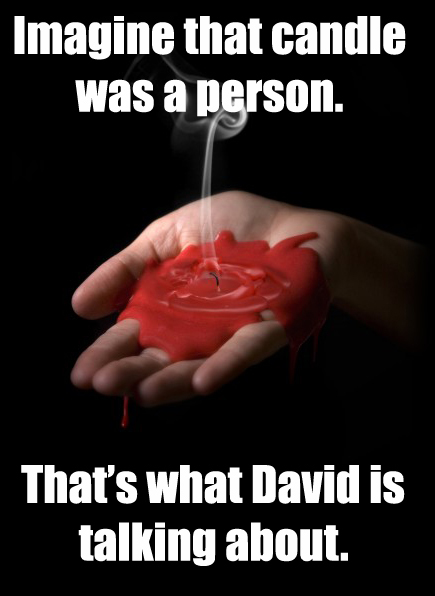 David, ease up with all the fire and burning people alive talk buddy. Make their bodies shake continuously? 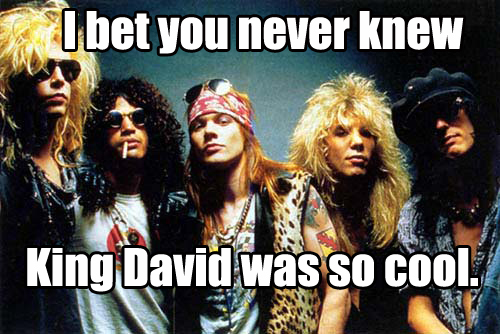 Seriously David? You’re asking that they have a constant barrage of seizures? May they be like a stillborn child? Geez man! I’m not even fully sure what that means, but it’s repulsive. What is the deal with this guy? To quote one of the great philosophers of our time, a brilliant and insightful woman known as Fergie, “Where is the love?” Seriously David…where is it? You seem to want God to shower you with love, yet shower others with…well with torture, pain and death. And a regular, imperfect guy can be a little emotional at times, a little over-zealous. Even a little outrageous. (Me trying to live life in my 20’s is a solid example. I was Steve Martin in The Jerk, just less charming, way, way more jerkish and equally as aloof.) I think that’s what’s going on here. Regular guy David has been harassed, attacked and hunted by his enemies and he’s had enough. He’s ready for it to end. And…he gets a little extreme in the process. So what am I saying? I’m saying David’s desire to see his enemies suffer and die caught me a little off guard. Really off guard actually. Especially because I was beginning to think of him as a weak and humble man. But that’s the point! He’s not JUST that. He’s also a ferocious warrior who has real enemies and knows they are a serious threat to his kingdom and who need to be removed from the equation. He’s a multifaceted man, capable of grace and love, who’s also capable of seriously laying the smack down. 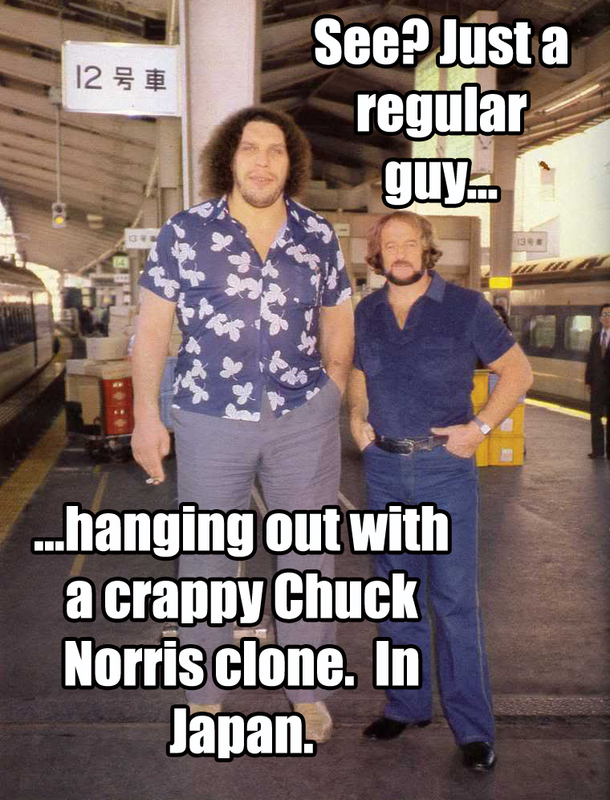 He’s like Andre the Giant. In the ring the dude would mess you up. In The Princess Bride he warmed your heart with charming peanut comments. In real life, he was just a man. Happy New Year everyone!!! No Bible craziness being posted today. Just real life craziness! 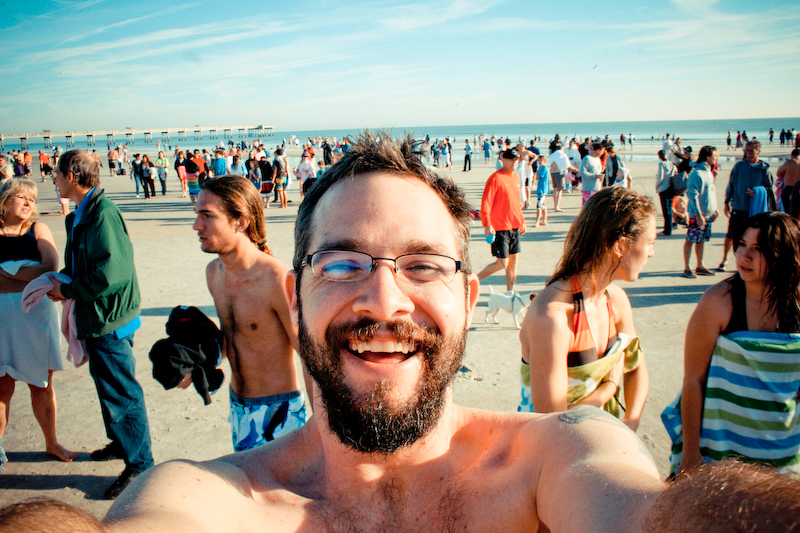 This morning a few friends, family, and I (along with a few hundred of our closest neighbors) celebrated the new year by jumping into the Atlantic Ocean for the 2012 Polar Bear Plunge! I’m convinced this is the ABSOLUTE BEST way to start a brand new year. It’s crazy fantastic! The rest of the day was simply outstanding in a way I cannot possibly describe. 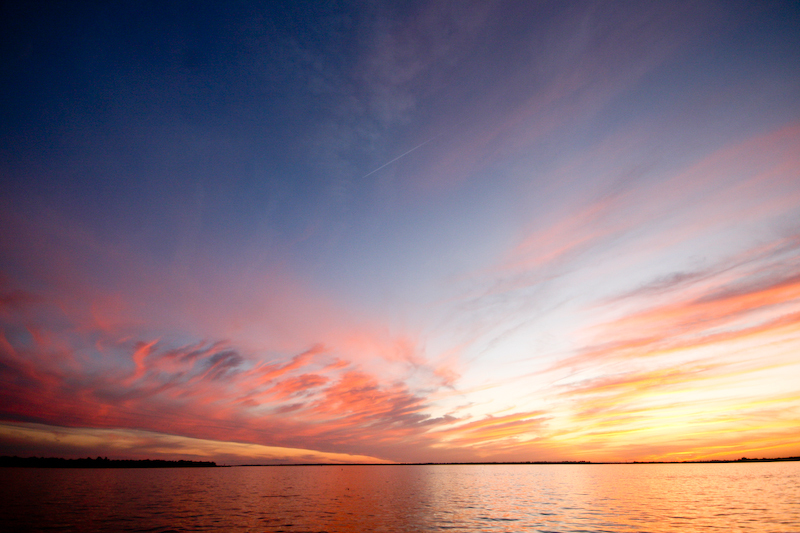 And to close it all out, God provided this ABSOLUTELY INCREDIBLE sunset over the river. One mind-blowing start to a hopefully mind-blowing year. 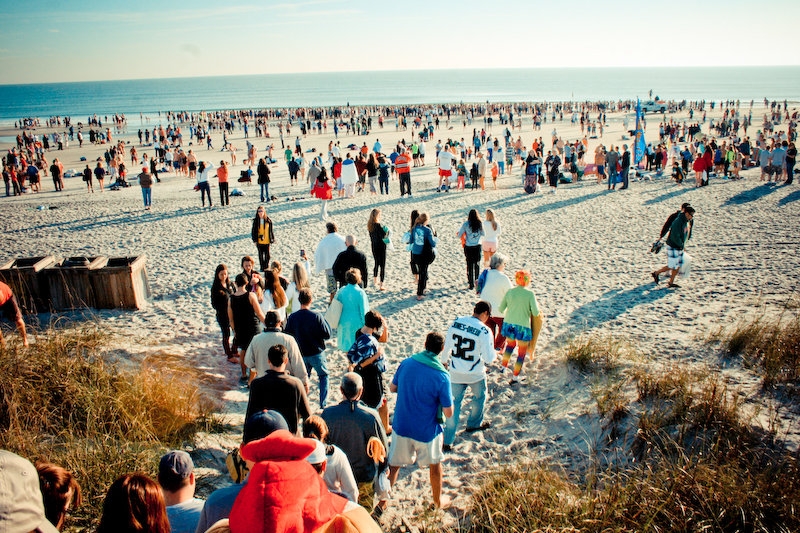 I hope and pray that 2012 is a richly deep experience for you. Thank you for your support of this blog. You are a great gift from a great God. Truly.